Artists’ projects often inhabit a homogenous internet, characterized by single page web layouts and feeds. Usually, the works live inside a few popular publishing platforms and social networks. Archetype is an invitation for artists to explore the web as an independent exhibition space. A blank, collaborative and customizable medium. 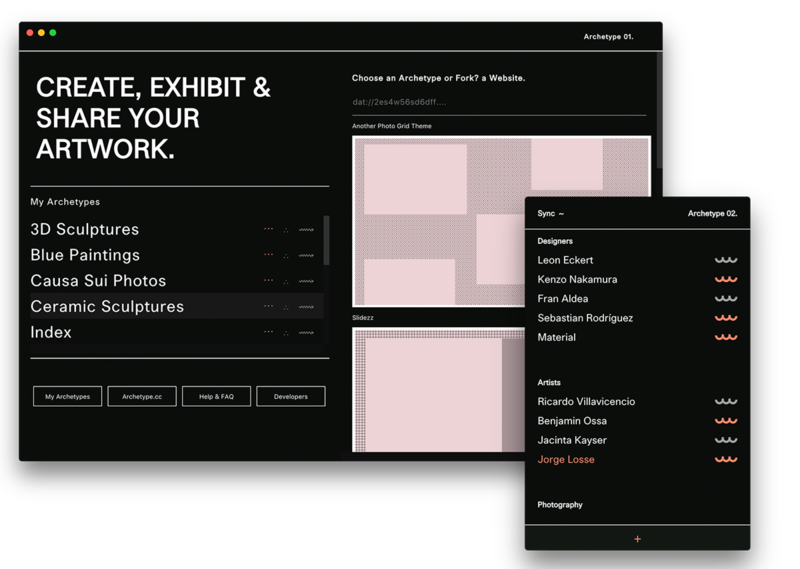 An experimental system to organize and exhibit works of art on a peer-to-peer network. Use projects folders to create a unique microsite. Think of each project as a new exhibition. Share and serve it from your computer. Current online platforms for artist portfolios don't do the justice to the work. Just as Artists' books are works of art that utilize the form of the book, artists could similarly use the web as an exhibiting medium, an extension of their practice, or perhaps as a work of art as well. Archetype aims to simplify possibilities for artists to try alternative ways to exhibit, share and archive their own artwork online, with independence of the artist's practice as the center. • Built with Dat, a P2P Protocol. • As it is P2P, you don't need a server. Just your computer. • To start you'll need the Beaker Browser. • Runs on your computer system. • Project by Project. Folder by Folder. • It's free. No Subscriptions. No Plans. 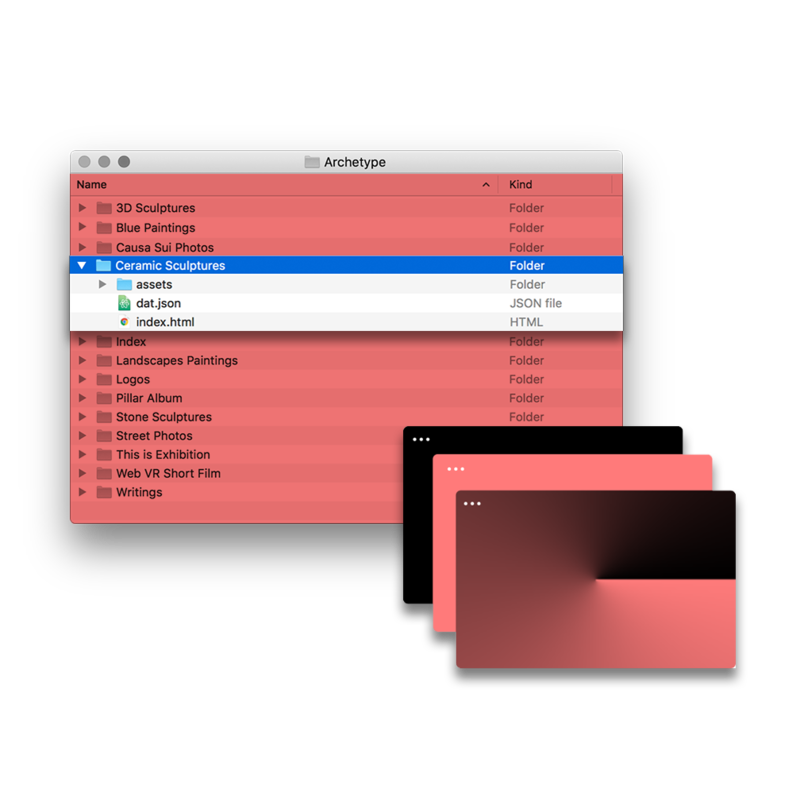 Archetype is a work in progress and constantly changing project started by @matamalaortiz. The main purpose is to invite artists to use the web as an exploratory field to display, share and archive their work of art online. Open to anyone who aims to contribute. Leon Eckert – Circle Design in Home Page. Renee Ramsey-Passmore (Noun Project) – Waves in Archetype 02.